At the end of the Summer we had some big occasions to celebrate, within the space of a week we had our eldest son's seventh birthday and my thirtieth. 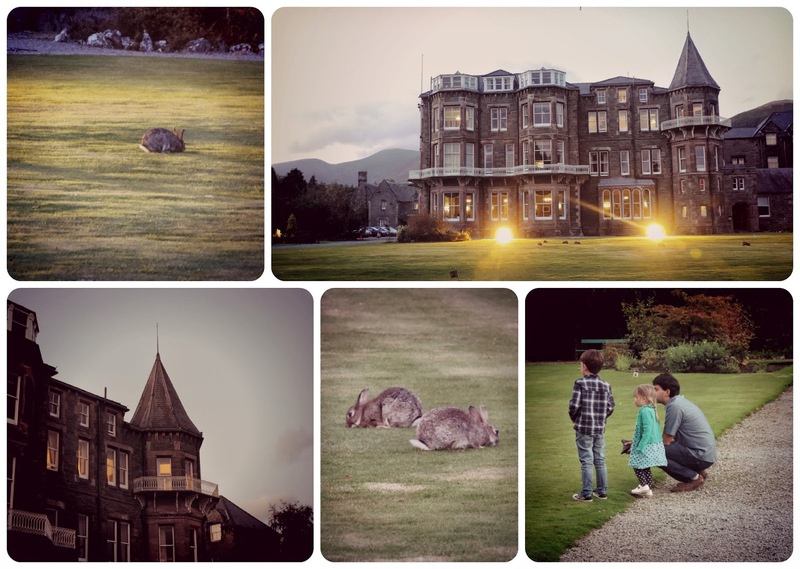 So we were thrilled when the lovely folks at Choice Hotels invited us to spend a weekend at the Keswick Country House Hotel in the Lake District to celebrate in style. I have been spending family holidays in the Lake District for as long as I remember and it is a place that is very dear to me and is full of happy memories. Over the last few years we have taken the children on a few camping trips near Lake Windermere but I was excited to be able to show them another part of the beautiful Cumbrian countryside. Before our stay we went online to plan our adventures and I was pleased to find the hotel website had a really useful page all about the local attractions and activities available in the area. As the children love boats and water we knew we had to take a trip on the Keswick Launch on Derwentwater and we couldn't possibly be as close as we were to Whinlatter Forest without going on a Gruffalo hunt! As well as handy tips on things to do in the area the website also gives a peek into the interesting history of the hotel. Since it's construction in the 1860's to coincide with the opening of the railway, it has built up a reputation as one of the most prestigious hotels in the Lake District and has played host to some rather significant guests, most notably Kaiser Wilhelm of Germany in 1895 with Lord and Lady Churchill and later Queen Elizabeth II in 1965. Being the history nerd that I am, I of course sought out the evidence of these visits during our own stay. 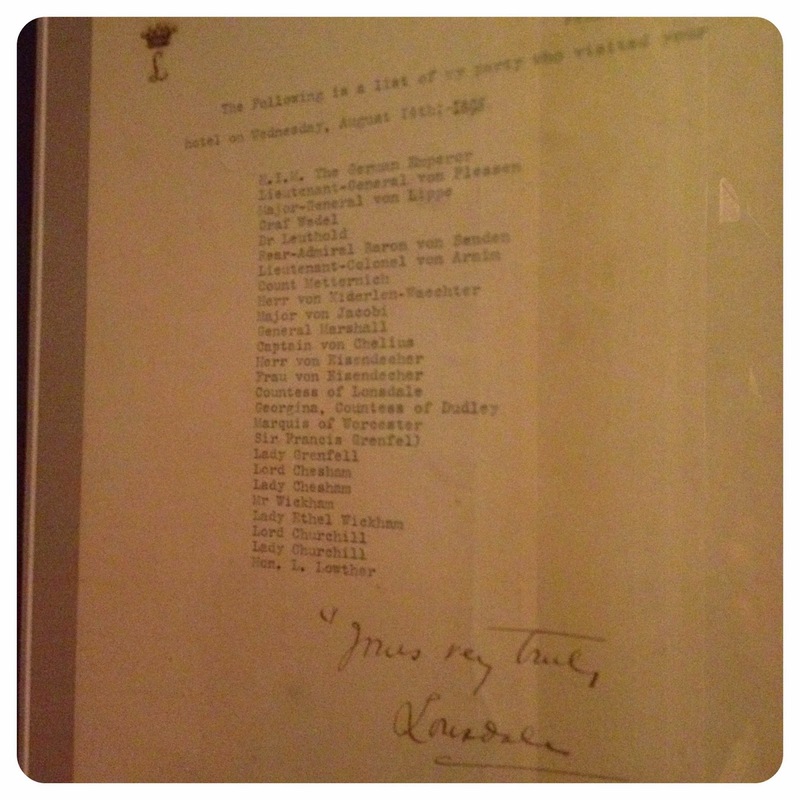 A list of the visitors to the hotel in 1895 including Kaiser Wilhelm of Germany, displayed in the hotel bar. We arrived in Keswick in the late afternoon, the hotel was easy to find and had plenty of parking for hotel guests. As we traveled up the extended driveway it felt like we were being transported back in time, the grand Victorian architecture of the hotel enticed me before we'd even stepped inside. The staff were friendly and helpful and even with two excited young children the check in process was quick and easy. As there were four of us (Two adults and two children) we were booked into one of the family rooms on the second floor of the hotel, a small lift just to the left of the reception desk allowed us to get ourselves and our luggage to the room with ease. I was really surprised by the generous size of the room, despite having a double and two single beds, there was still plenty of extra space in the room. Large windows gave spectacular views of the grounds and the surrounding area and brought lots of natural light into the room. A door led off to the ensuite bathroom which housed a modern bathroom suite including bath and shower. The room offered all the comforts of home including a large flatscreen TV with freeview, tea, coffee and hot chocolate making facilities and comfortable chairs to sit in whilst we perused leaflets of local places to visit. Dinner each evening was served in the impressive Lonsdale Restaurant, which overlooked the beautiful gardens. The dining room itself was very grand and I felt it had a 'Downton' feel to it! At first I was worried that such a 'grown up' looking restaurant wouldn't cater to seven and three year olds but I had no need to have been concerned, as well as offering smaller portions of the daily specials there was a separate children's menu with favorites such as pasta, burgers and mild curries. I was also delighted to find varied vegetarian options including some of my favourite dishes. An extensive wine list was also offered to complement the freshly cooked food. Breakfast was a buffet style affair served in the same room as dinner and cooked to the same high standards. The selection was varied with cereal and fruit to please our daughter, a cooked breakfast for Daddy and our eldest and delicious poached eggs cooked to order for me. A great morning feast to set us up for exploring the local countryside. During Dinner on the first evening the local area was affected by a power cut meaning we were left in the dark. Rather than this turning into an uncomfortable and upsetting experience for our children, the staff immediately brought candles to the table and chatted to the children, keeping us informed and turning an event that could have upset our meal into an exciting adventure! The quick and thoughtful actions of the hotel staff meant we enjoyed a atmospheric candlelit dinner and the lights came back on just in time for dessert! After dinner we were encouraged to take an evening walk around the grounds to see the infamous wild rabbits who run around the lawns and are enticed by the attraction of the floodlights, this delighted the children who tried to name them all! The staff were chatty and approachable throughout our stay talking to the children about their adventures and offering tips and personal experience about places to visit. On Saturday morning we took a walk through the town and up to Derwentwaters. The discovery of some fabulous shops in Packhouse Court just off the market square took us on a little detour, where we picked up a few mementos of our break. Our Afternoon was spent enjoying a boat trip across Derwentwater and exploring the Lodore Waterfalls, Daddy and Ben were even brave enough to climb to the top! 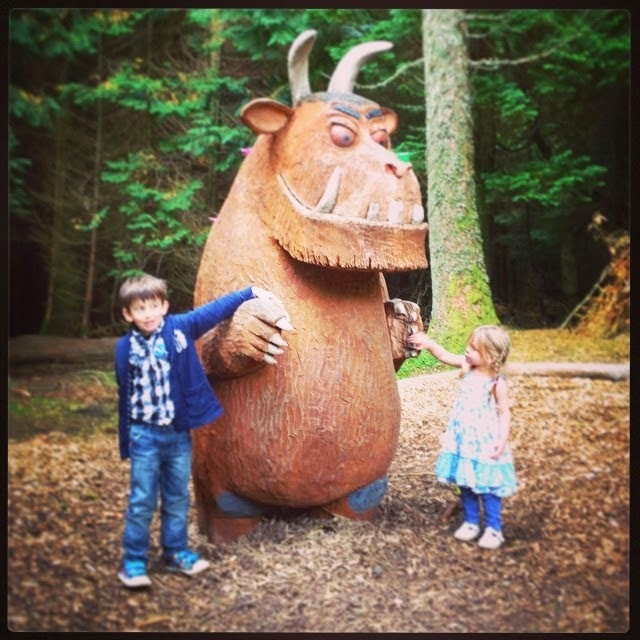 After checking out on Sunday we took the short drive over to Whinlatter forest and spent a fun day exploring the forest and of course going on a Gruffalo hunt! 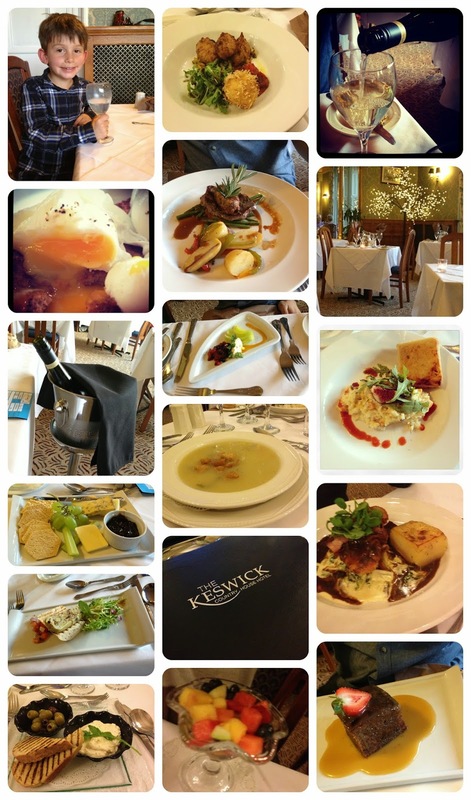 We had a wonderful weekend at the Keswick Country House Hotel which was enhanced by the friendly and helpful staff. I've always been unsure about staying in hotels with young children and we have often opted for self catering alternatives instead, Choice hotels really do know how to cater for families but also make you feel you are enjoying a grown up break at the same time! 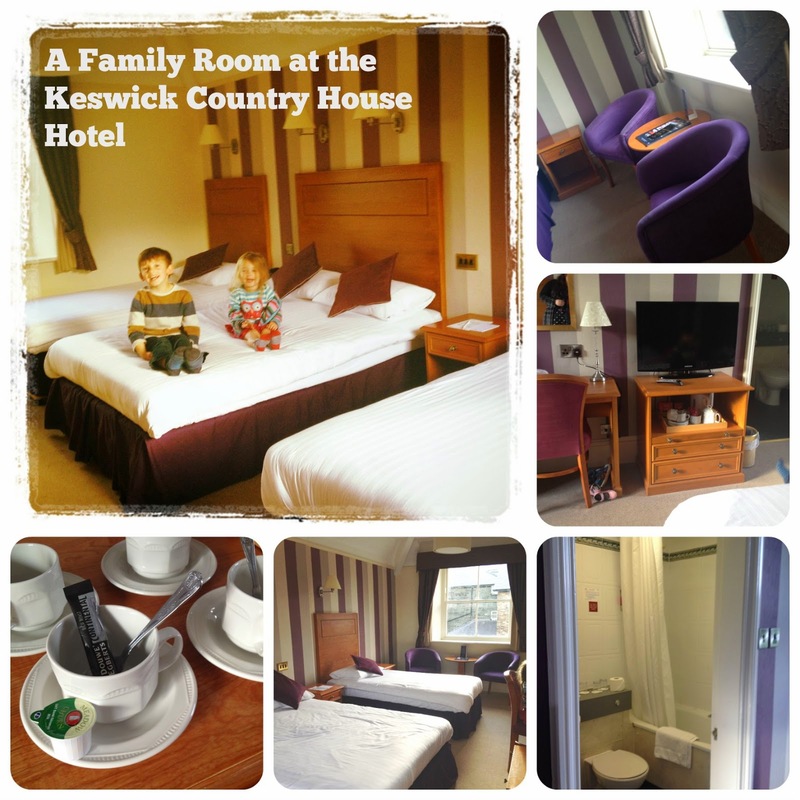 It was the perfect way to celebrate our birthdays and I would recommend the Keswick to any families wanting to experience a few days of luxury. The location is perfect for discovering the the hidden delights of the Lake District and there is a wide variety of year round activities in the area. Check out the website for the latest prices and Christmas and New Year stays. You can also follow Choice Hotels on Facebook, Twitter and Instagram for the latest offers and news and the Keswick Country House Hotel has it's own facebook page where you can enter to win a two night break for two at the hotel (ends 4/11/2014) and check it out for yourself! Looks like an awesome place, definitely one to remember for the future! Looks like a gorgeous place to stay and that food looks yummy! The hotel looks lovely! Will definitely check out the fb page and enter their competition! Would make a great family break. Ooh and the food looks yummy! oh wow, it does look like you are going back in time, to a time of luxury and comforts. I loved visiting the Lake District when my son was smaller and keep meaning to go back, I think this looks like a delightful place to stay, would not of thought is would be so child friendly, so thank you for explaining the bedroom sizes and how welcoming they were. What a lovely place! Glad they also cater for younger kids too! Just stumbled on this while looking for reviews of hotels in that area...perfect timing! This one definatley going to the top of the list after reading this! wow i love the look of this hotel and by the sounds of it its a great place! defiantly something to consider if we are heading to the Lake District! Oh what a gorgeous area, and the grounds look beautiful. Food looks amazing too! It all looks beautiful. The views are stunning. I got married here 2 years ago. Amazing memories! 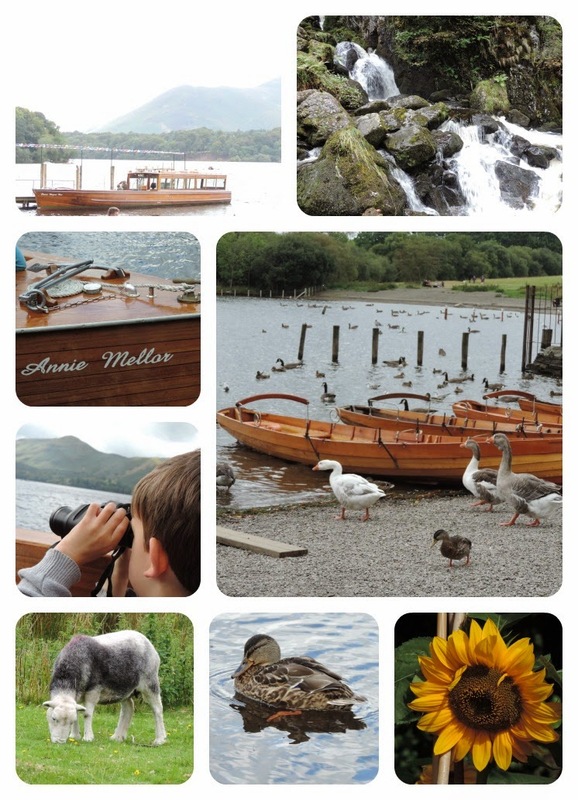 We still haven't been to the Lakes but it is definitely on our list of places to visit. The hotel looks fab and really family friendly. What a wonderful birthday treat - it looks just great. I couldn't find a 'like' button, but I like your post and the hotel looks beautiful. Very interested in a family trip to Lake District. I love the idea of the family room! It looks like you had a really wonderful time. I love the Lake district, especially Keswick and Bassenthwaite Lake. This hotel looks gorgeous, so much better than anywhere I've stayed in Keswick.